People have amazing experiences after having a heart transplant. Some say that they feel connected to the donor while others swear that they have memories and dreams from the donor’s life. Harlan’s life after his transplant hasn’t been that simple. He lived a peaceful naive existence for many years but since this transplant he’s been having black-outs, he’s been eating strange foods, he’s been accused of murder and someone’s trying to kill him. It’s almost like there is this other person inside of him and sometimes that person just takes over. Well, it’s that or Harlan’s schizophrenic. Jane started out on a trip to find someone she’s sure she lost when strange things start to happen to her seemingly directing her in a different direction. She’s not sure why but she just has some gut instinct that Harlan is more sane than he appears and not as guilty as the facts suggest. But can she prove it before both of them are wiped off the face of the earth? What I liked: The hardest part of reading this book for me was slowing down enough to read every word. The plot was so exciting I just kept rushing and then I’d have to go back and reread the page because Ms. Dewey packs a lot you don’t want to miss into these books. This book is not only an interesting mystery but it also has a ton of supernatural good vs evil play that it’s a terrific book for many other genres. What I didn’t like: The first four chapters were really difficult to enjoy. There was so much that just seemed random and eerie that I had trouble continuing but, as soon as I got to chapter five I didn’t want to put the book down. It was so worth it. Steam: Adult — It’s not steamy per se but the language is definitely rated ‘R’. Laurel Dewey was born and raised in Los Angeles. 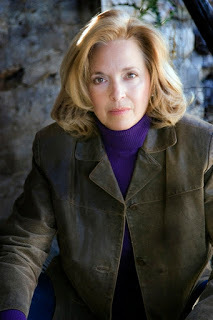 She is the author of two nonfiction books on plant medicine, a Silver Spur nominated Western novella, hundreds of articles, and three other novels in her Jane Perry suspense series, Protector, Redemption, and Revelations along with the Jane Perry novelettes An Unfinished Death and Promissory Payback and the story collection Unrevealed. She is also the author of the novel Betty’s Little Basement Garden. Thank you to Open Road Media, Laurel Dewey and Partners In Crime Virtual Book Tours for generously offering this book for review. I really enjoyed being a part of your tour. I agree with you, this was definitely a page turner. Superb review and post. Thank you for sharing.